Judging Dev by Diarmaid Ferriter. Royal Irish Academy, 2007. pp 396. Photos, letters. Judging Dev was sponsored by the RIA in order to bring the documents which they have on Dev to the notice of the public. Ferriter was commissioned to write the text. It is divided into three sections - text, photos and facsimile copies of letters written by or received by Dev. The text is divided into 16 short chapters and is limited to about 150 pages. Apparently Ferriter was not expected to write a comprehensive account of Dev but more a commentary on the documents appertaining to him in various archives, especially those in the RIA and UCD. It is a personal as well as a public account of his life rather than a detailed and factual account of his career (I counted 84 photos of Dev in all.). Ferriter deals mostly with Dev’s time in government from 1932. It does not deal in any comprehensive way with some of Dev’s earlier and important moments in history, such as the Treaty settlement, his record before and during the civil war, and such aspects of his later career as the setting up of the Fianna Fail Party and the Irish Press. This is not a structured biography in the ordinary sense. It is short and by no means comprehensive, and is rather a personal and interpretive account of the man. . The views and identities of Dev’s critics are frequently mentioned, which tend to evoke a response from the author couched in favour of his subject. 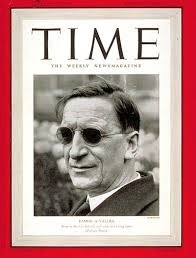 It may be perceived as a riposte to the drubbing Dev received from Coogan in his controversial De Valera – Long Fellow, Long Shadow. I do not think Ferriter’s text adds significantly to our revolutionary history. The main emphasis is on his leadership of the country from 1932, his later settlement with the British, and his international recognition while presiding at the League of Nations. He emerges as a successful politician with a mystique acquired through his aloofness. We are reminded of the exceptional loyalty he evoked, of his diplomacy, his capacity to impress his British political colleagues once he was himself in the driving seat, and his consistent policies in relation to neutrality. His most enduring achievement was the formulation and successful acceptance of the 1937 Constitution and his ability at the time to resist excessive interference from the Church and other vested interests, including the vehement protests of some prominent feminists. Ferriter tends to be less critical of Dev’s ‘comely girls’ conservatism than other commentators. Indeed he may be right in the sense that it is difficult for us to-day in this materialistic and secular country to have an insight into the culture of fifty years and more ago. Ferriter underlines Dev’s great interest in mathematics, scientific research and the Irish language among other academic subjects. Undoubtedly, he did contribute to developments in these and other areas, although hardly in restoring the language. He believes that Dev and his various administrations were successful out of the ordinary in many other areas of progress but this is surely questionable when we remember the chronic emigration, and when we concede the progress made by other European countries at the same time, and who had suffered the ravages of war for more than five years. Like all other colleagues and administrations during the 80 odd years of the state, he made little progress in restoring Irish as a popular first language. His approach to the language was reminiscent of the lip service paid to the subject by nearly all Irish politicians as well as a largely indifferent and cynical public. Dev’s view was that the language revival was more important in terms of national well-being than the reunification of the country, a view which might be questioned by many. Perhaps his greatest failure was his negative approach to the North of Ireland, the persistence of partition and his antagonising of the Northern Unionists. His outspoken almost obsessional approach lacked any sense of realism in terms of understanding the passion which lay behind the Unionists commitment to Britain and the Commonwealth. After he was defeated in the 1948 election, Dev set out on his world tour to seek international support for his anti-partition policies and, not unexpectedly, met with a largely indifferent audience. This international publicity only further alienated our northern brethren (and his successor, Jack Costello, joined vociferously in the same Anti-Partition Campaign and went further by leaving the commonwealth against the policies of his own party.) It was to take Lemass, by his historic approach to O’Neill, to break the senseless policy of his predecessors. Twenty thousand copies of the book will be distributed to our secondary schools by the Department of Education. It is about time that our young people were informed about our more recent Irish history. However, Judging Dev is not a likely publication to give a balanced and unbiased account of our contentious history during the 20th century. It is an interpretive account of a single, albeit very important, figure but it will not fulfil the purpose of conveying the true picture of our times and can only stir the dying embers of the civil war. Its release to our schools is a misjudgement by our educational authorities and it is hard to believe that this unprecedented step was taken without a political motive. It is vital that our civil servants are not suspect on an issue of this sensitivity. Why not a concise and inclusive history of Ireland by a professional historian such as Ferriter for our secondary school pupils? 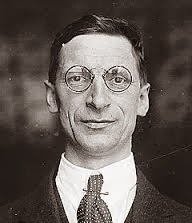 The future of our more recent history will be fought out on the battlefield of revisionism, with Collins and de Valera as the main contestants, and the contest will continue as long as both subjects prove to be of commercial value to publishers, historians, and the media.